I need more sunlight. I guess in reality we all do at this point. Especially those of us who live in New England. It might even go for everyone in the United States this year since this winter was just brutal all over the country. But I was told specifically by my doctor that I need more sunlight. Yep – my blood tests show I have a pretty major Vitamin D deficiency. I was a 26. Based on the vitamin D scale, the deficiency range is 0-30. It’s not like… insanely low, but she said it’s low enough that we need to get it boosted ASAP and it could help with a lot of the things I’ve been dealing with. She told me to start taking a supplement immediately, preferably 5,000 IU a day, and I should start to see some improvement. Plus with the weather slowly beginning to warm up, it means spending QT with the sun when I get out of work. What is Vitamin D and what does it do for the body? Needless to say, it does a lot for our bodies. Vitamin D deficiencies are really common, and my doctor told me she sees it all the time up here due to our long winters. Essentially, it’s not healthy for humans to be stuck inside without the sun. I say we all move south! What kind of symptoms does it cause? Vitamin D Deficiency can cause such symptoms as tiredness, general aches and pains, or sometimes no symptosm at all. More severe deficiencies could have pain in bones and weakness, and frequent infections. (4) See below of a list of common symptoms found on Dr. Frank Lipton’s website. Essentially, if your levels become to low and it’s not caught, your bones could become thin or brittle. And we don’t want that to happen! Bottom line: It could explain a lot of the problems I’ve been dealing with for a while now. Fatigue, muscle cramps, weight gain (I’m still pretty sure that’s just from being lazy and eating bad for so long, but whatever, it’s a symptom, I’ll add it to my list), restless sleep, poor concentration and headaches. I took my first dose of the supplement today, so we will see how I feel in a week! ***Disclaimer: All information found was just based on various health sites I researched for Vitamin D deficiencies and should not be taken as medical advice. The information above was found by doing searches on the internet so that I could learn more about Vitamin D deficiencies. If you feel that you have may have a deficiency, or any other medical problem/deficiency/illness, please consult with your physician. Today I’m all about the gym. Mainly because I had my first pain-free workout in nearly 6 months. I’m thrilled that the cortisone shot really seems to be working and doing what its supposed too! This morning’s workout was simply a ‘Let’s get used to being up before dawn and get your cardio back’. 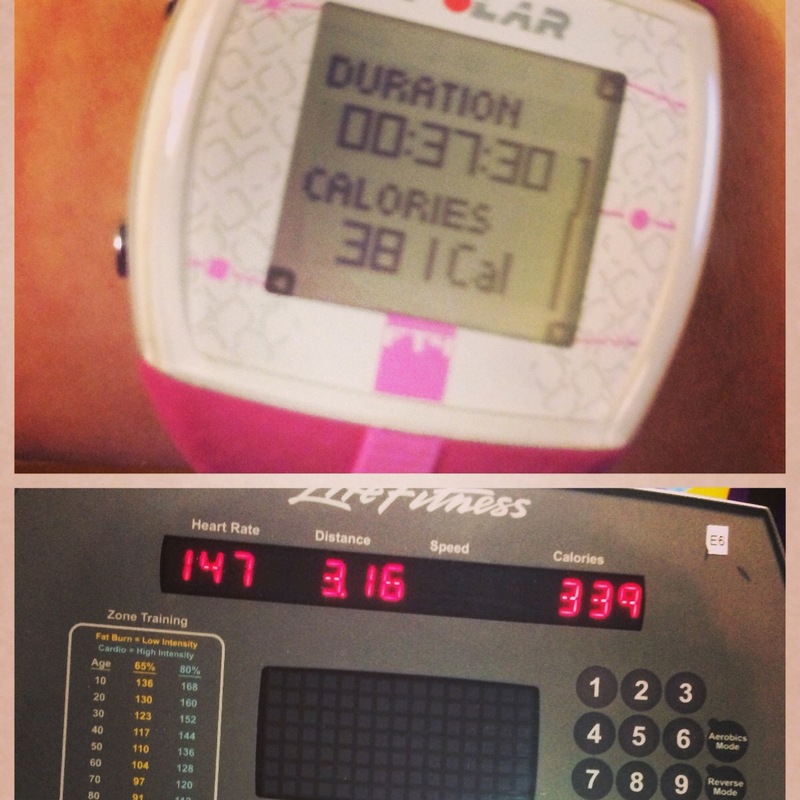 I did 35 minutes on the elliptical followed by some upper body lifting. I really like the nautilus machines, but since it’s been a long time since I’ve used them, I kept the workout small. I did tricep curls, bicep curls, the row and pulldowns – 3 reps of 10 at 30 lbs, except the bicep – I only did 2 reps.
Anyways, on to the real reason for this post. Cleanliness at the gym. We all know gyms are not the most sanitary places. People are constantly sweating all over everything. In reality, it’s pretty gross. But we all go, because we want to be in shape, or get in shape. Especially those of us in the cold arctic weather of New England who can’t work out outside basically from November until March (or evidently April this year). I mean you could… but it’s cold. And I just don’t like the cold. I ALWAYS clean my machine when I get on it and off it. I’m not a germophobe by any means, but it’s one place that totally grosses me out. Just the thought of someone else’s sweat that I don’t know being all over me just makes me start gagging. 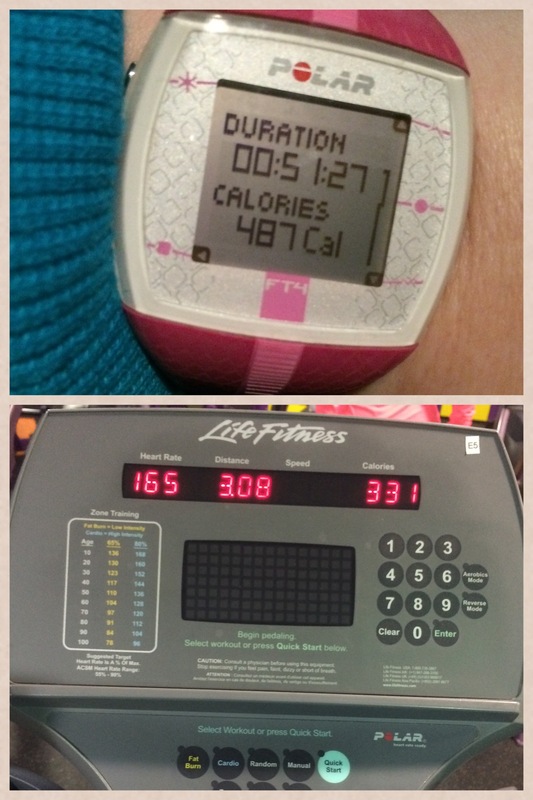 After finishing my workout on the elliptical, over to the weight machines I went. I sprayed down my towel, cleaned the machine and hopped on the first. I did this for the four machines I did. By the time I got to my fourth (and what I would soon learn to be my final machine), I noticed a woman behind me lifting really fast. I had just finished my second rep and was taking a quick break. She got up from her machine, passed by GLARING at me, and jumped ahead to the machine in front of me. It was obvious she needed MY machine and was mad that I was on it when she was on it. 2. There is an identical machine directly next to me. Use that one. You don’t need to go in a straight line. It’s not going to kill your workout. I promise. Just use that one. Anyways, as I started doing my final rep, I watched as she whipped out another set on the machine in front of me, got up and proceeded to go back to the machine behind me. I immediately wanted to throw up. SHE DIDN’T WIPE DOWN EITHER MACHINE! I was getting ready to get on the machine she was just on (the identical machine next to it was being used) and was absolutely disgusted. Okay, I know I wipe down machines before and after I use them, but I do it partially because I don’t know who used it before me. Watching someone as they use a machine and sweat all over it, and then leave it without cleaning it disgusted me so much I left. I know it sounds ridiculous, but I wasn’t about to clean the machine she just sweated all over. Maybe subconsciously, I didn’t want her to get the benefit of having someone else clean her machine, but come on people. How hard is it to clean a machine after you use it? It takes 10 seconds. I keep my paper towel with me and just re-wet it when I need it. My good friend, and health guru/coach Molly, wrote a fantastically awesome post about all the things she’s tired of hearing as a personal trainer. This is my response to said post. Here’s the thing, you may be tired of hearing it, but I can guarantee that us folks who are still trying to maneuver around the healthy-living/gym-stratosphere, are probably going to continue saying these things. And we’re going to keep wondering if what you’re telling us is really true. Because, for most of us, we don’t really know what we’re doing or talking about, but we think we do because we read tons of fitness magazines. And aspire to be healthy. “I don’t want to use those weights, I’m afraid of getting bulky.” – Let me start here by saying, when I say this, it’s not out of fear of getting bulky. It’s because I don’t really feel like lifting 15 lb dumbbells over my head in a fly motion or whatever you feel like calling it. They feel wicked heavy, and I’m tired. Bottom line. So, you’re going to keep hearing this. And you’re going to have to keep telling me I’m not going to become a she-hulk. And I’m going to keep pretending I don’t know that, just so I can try to get out of lifting weights. Or at least the heavier ones. Give me a 5 lb dumb bell and I’ll go to town. 15 lbs… no flippin’ way. On another note – if you google She-Hulk. It’s a real thing; like actually a comic book character. “Can we just focus on my abs? I want to lose the weight there.” – Yep, I know that there is no way to spot reduce fat (remember, I read fitness magazines), but I’m still asking because I’m hoping that you’ll know a way to make it happen. I’m also testing you to see if you’re lying to me. IF you tell me yes, then I know you’re just appeasing me because it can’t happen like that. If you tell me no, then I’m going to cry and decide that I don’t want to work out anymore. Because it’s too hard to lose weight. Seriously, just tell me I’m going to do 50 sit ups and immediately have super model abs. It will make me happy. And if you tell me this every time I ask this, eventually I will have awesome abs and the problem will be fixed. “I don’t want to do this exercise. Can we try something else?” – Let me first tell say, I pay you to get me in shape. Having said that, I should have full control over what we do in our training sessions. And if that means, I want to sit on a recumbent bike, barely peddling, while reading a book, you’re going to let me do that. Remember, YOU’RE STILL GETTING PAID. Sure, I know, you secretly LOVE making me want to cry as I do ten more pushups and a 5 minute plank, but I’m going to let you in on a little secret. I’m only paying you so I can say ‘Yeah, I get to work out with my personal trainer today.’ It makes me sound like I’m a beast at the gym. Let me do this occasionally… especially if I’m exhausted. And then occasionally I won’t complain about the masochist exercises your about to make me do. “I don’t get how I’m not losing weight! I only eat Greek yogurt for my breakfast!” – We’ve been brought up in a culture where we’ve heard reducing calories and eating healthy helps up lose weight. Now we’re hearing that we should be eating more to lose weight. Quite honestly, I’m eating Greek Yogurt for breakfast because I’m so overwhelmed with the millions of options that it seems like the quickest and easiest when I have to work. Let’s be serious. I don’t have time to make anything in the morning. I barely have time to get a workout in, and get ready for work. Greek yogurt with fruit sounds like a grand breakfast to me. And it’s high in protein. And lower in calories. Sounds like a win/win to me! “I’m not seeing any progress. Nothing is changing!” – In my one session a week with you, on the weeks where I’m not demanding to sit on the recumbent bike, I expect you to work miracles. And by miracles I mean, lose 10 lbs without lifting a finger the rest of the week. That’s how this whole weight loss thing works right? I work out once and WHAMMO the weight comes off. No? Oh. Okay. I guess I should probably start at least walking on the treadmill when I’m not working out with you. “I’m going on vacation in a few weeks and I want to lose 10 lbs.” – I know. I probably should have thought of this before my vacation snuck up on me. Like 4 months ago. But let’s be honest. Pizza and beer were way more fun than working out and eating healthy. So now it’s time to crash diet until vacation when I can gain all of it back. That works right? You can totally help me do this right? I mean, 10 lbs is only 10 lbs right… it shouldn’t take THAT long. So there you go personal trainer Molly. The reasons why we say the things we do when we’re working out with you. *Disclaimer – I’m not stupid and I know half of the things I said in my responses sound absolutely ridiculous. The point is just a fun response to the things personal trainers are sick of hearing. This is more about the things that come to my mind when hearing these things; I don’t speak for the population or majority. **Disclaimer 2 – I’ve known Molly a really long time. We totally poke fun at each other all the time. It’s normal. She knows my eating and workout habits. She knows I’m a lazy bum most of the time, but also knows how long it’s taken me to lose 10 lbs (I hit it today and it’s been almost 3 months!). I trust her 100% with her advice and know that she’s not lying to me when she tells me these things. I just don’t always like to listen to her. She will totally agree with me on this too. I have my anatomy and physiology lecture in the mornings, at 8 AM to be exact, and we talked about organic compounds. A discussion about carbs was first, followed by lipids. Hydrogenated foods were next up in the discussion, and how they are used to make foods have a longer shelf life, even though they are really bad because of the chemical structure. And now the part that I think is the best….. Adipocytes! Adipocytes are fat cells with nothing inside them. They are technically unlimited, meaning that they can just keep filling up with stored fat and they can also make new fat cells in the body to then be filled as well. Once your body has adipocytes, they will never go away. It is possible for the fat to be burned off, but is extremely hard to tap into those cells when working out. This is a huge factor that plays into people who have gained a lot of weight, shed the pounds, and then gained them back. Once someone goes back to their old ways of lounging around and eating unhealthy foods, the adipocytes will fill right back up. That is why it is important for people who are really determined to lose weight and to keep the weight off, to stay on track with your workout plan and eating program. 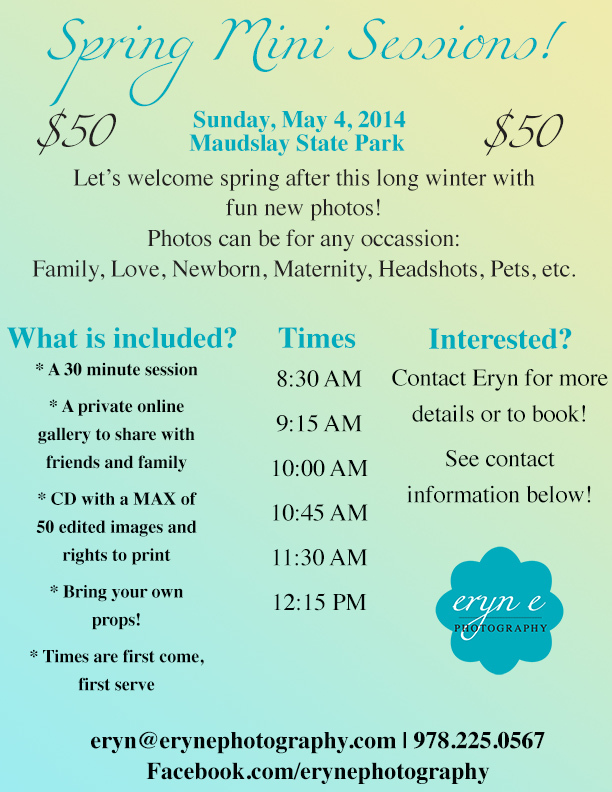 Friendly Feature – Meet Sara! Friendly Feature time! This week, you’re all going to meet Sara. She’s transformed her life and is now a Crossfit addict, a Beachbody coach and ready to help others achieve their fitness goals! Introducing… Sara! I’m Sara and I just turned 28. I’m a desk jockey by d ay, facilitating the marketing and programming of global webcasts for pharmaceutical companies, and a Crossfitting enthusiast by night. Fun fact is I travel religiously – In the past 4 years I’ve been to 13 countries and 7 big cities outside of MA. What does a typical day look like for you from the time you wake up to the time you go to bed? I’m up by 5:30AM and in the car by quarter of 7 – I live in the city of Boston but work in Burlington, MA, so my commute through the city to the north shore is a complete nightmare. I work a full day, typically on the phone with clients from as close as Cambridge and as far away as India, discussing new products and new pharmaceutical regulations. If you need to know about Obamacare, I’m your girl. I usually head to Crossfit at Crossfit Woburn for the 5PM class, workout for an hour, and depending on my mood, head to Blast Fitness in Medford for a run or brave the 6PM traffic through the clusterfluff that is the O‘Neill tunnel to get home. Once home, I’ll usually whip up something paleo, shower, watch an episode of Love It or List It (whatever, I love HGTV), or scare myself with an episode of Game of Thrones, and I’m dead to the world by 10PM. 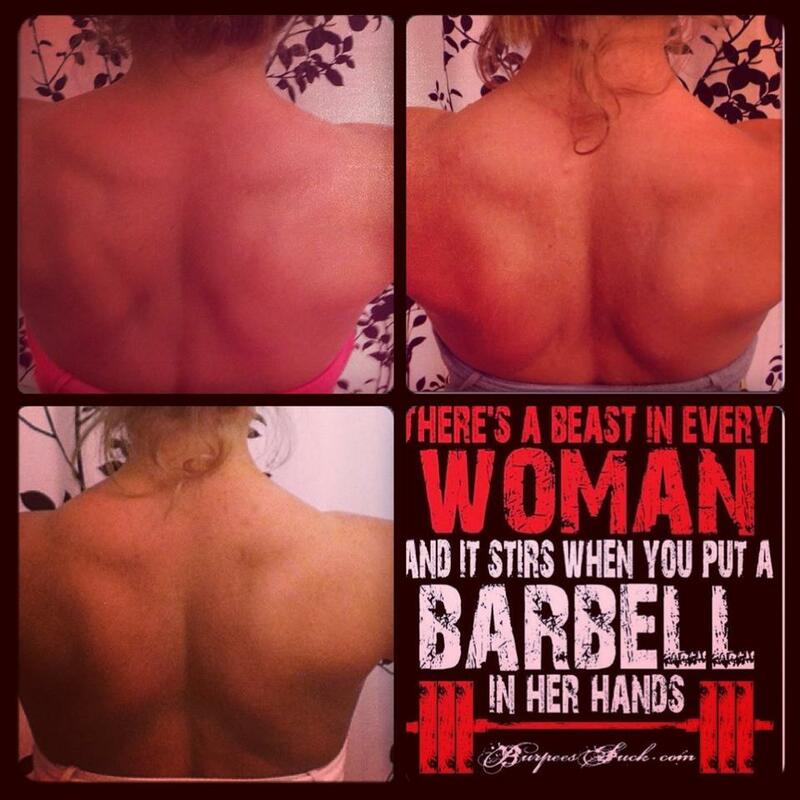 Tell us about your transformation story. I was a cheerleader for… like, my entire life. I never really thought about having to go to the gym because I was always so physically active. When I was 21 my family moved 800 miles away to Raleigh, NC, and because I was still in college, I moved out on my own with my boyfriend at the time. I got really caught up in unhealthy eating – so much of crap food is just so easy to prep and eat, and I was working full time and going to school full time, and I didn’t consider the calories or what I was actually consuming. In the fall of 2011, I was in my sister-in-law’s wedding, and when we got the pictures back, I was just so disgusted with myself. So I started going to a bootcamp class at 5AM 3 days a week. In January of 2012, we started this bootcamp fitness challenge, and I went straight balls to the wall on fitness. I lost a ton of weight and ran my first 5k. I won the challenge that April. That year, I ended up running 14 races, including 4 mud runs, a 10k, and a 10 miler. And I started working out additionally with the trainer who ran the bootcamp classes at his gym, building muscle. 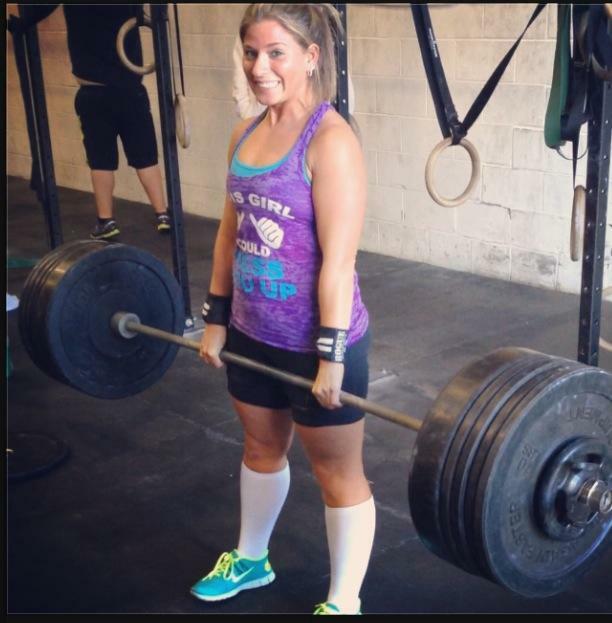 By the fall of 2012, I was ready to make a change, so I started going to some Crossfit classes at AE Crossfit in Woburn, a nd I fell in love with it. CrossFit is a big part of your life – can you tell the readers how you got into it and what you love about it? I’d been hearing about Crossfit for a good long time. It was one of those “classes” that I’d been scared of taking, because I was never the type of girl who pictured herself with a barbell. I was scared to pick up dumbbells, because I always thought that heavy weights = bulking up. But then I started. My first WOD (workout of the day) killed me. Like, DESTROYED me. I thought I was in good shape? Yeah, no. I’m a girl who doesn’t want anything to defeat her, and this was the challenge that I had been looking for. There’s a meme that says something like “the day you start lifting is the worst day of your life – because from that day on, you’ll never be as strong as you want to be”. So true for me. Hitting a PR (personal record) in a weight is SO rewarding for me. But hitting that doesn’t stop me – because now I want to go heavier next time. 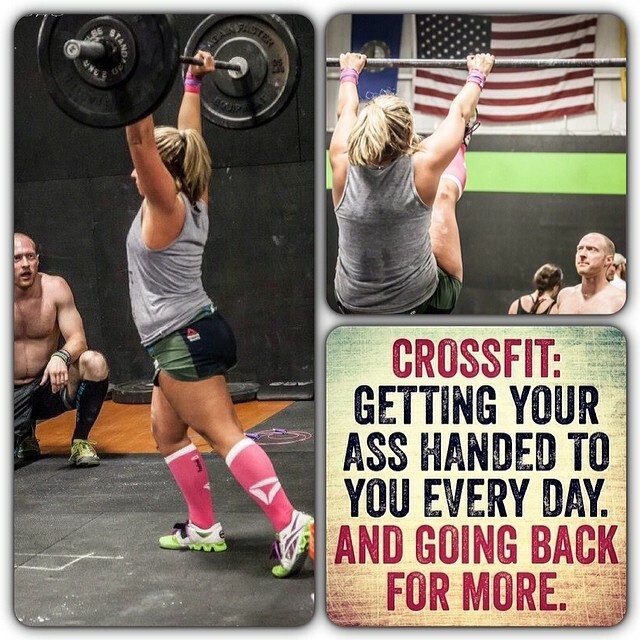 Have you competed in any CrossFit competitions? I’ve competed in 2 competitions, both as a partner. Crossfit is broken into 2 sections – RX’s (the prescribed weight) and scaled (a modified weight). 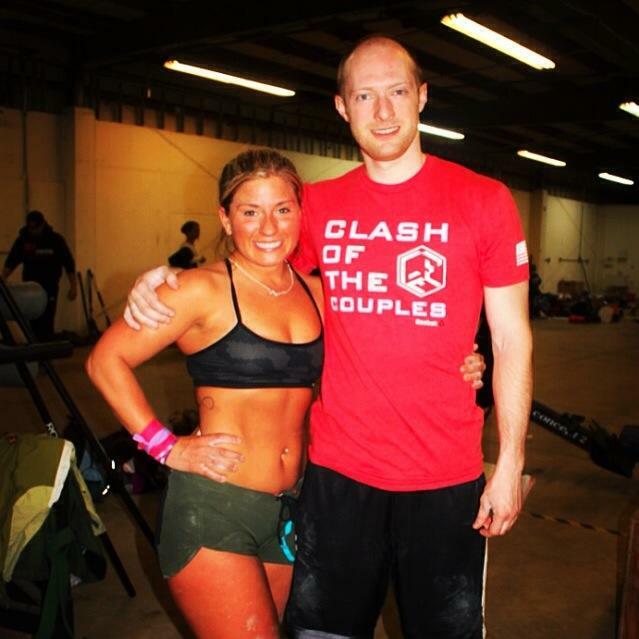 My first comp I did with a girlfriend, and we won the scaled division. The second comp I did with a guyfriend, and we came in second to last as RX. Only makes me want to be better so next time, maybe we can be third to last. 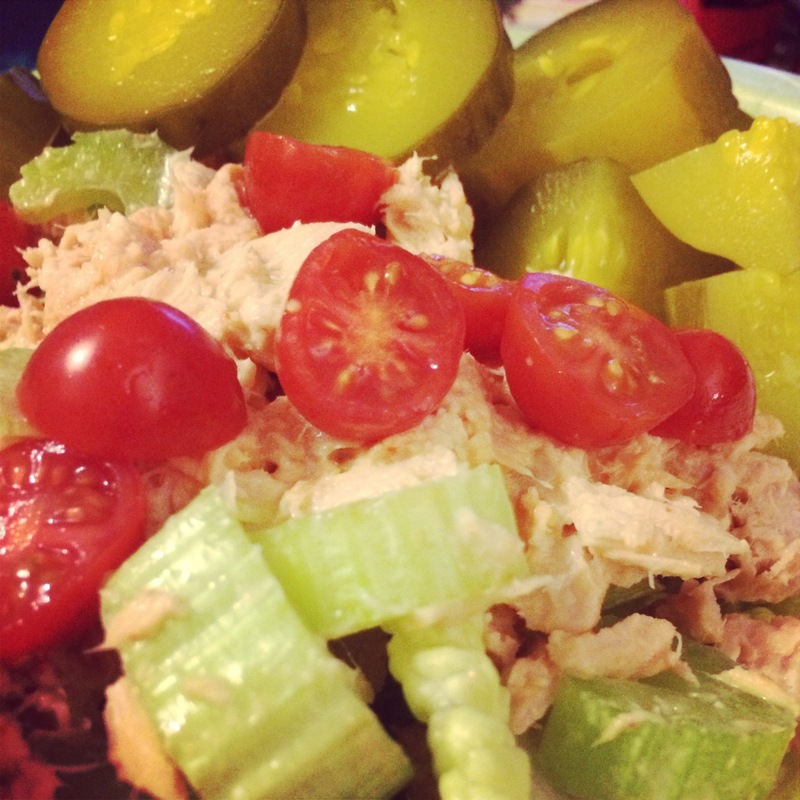 What does a typical meal plan look like for you? I eat 90/10 paleo. Basically I allow myself one cheat meal a week. Paleo is removing all grain, dairy, legumes, sugar, and processed anything from your diet. I eat 6 meals a day. On a regular day, I’ll eat 2 egg whites in the morning, scrambled with water, cooked in coconut oil. When I get to work, I’ll eat half a banana and walnuts or almonds. For lunch, a HUGE spinach and romaine salad with 4 ounces of grilled chicken, tons of veggies, with EVOO and vinegar. Before crossfit, depending on my mood, either a small green apple with a tbsp of almond butter or carrot sticks and guacamole. For dinner, 6 ounces of protein (steak or chicken or shrimp, usually) grilled or steamed veggies, and sometimes roasted sweet potatoes or brussel sprouts. Last meal of the day is usually a scoop of almond butter on a spoon (don’t judge me, lol). I also drink at least half my body weight in ounces in water per day – and sometimes more. Being adequately hydrated can aid in your performance by up to 18%. 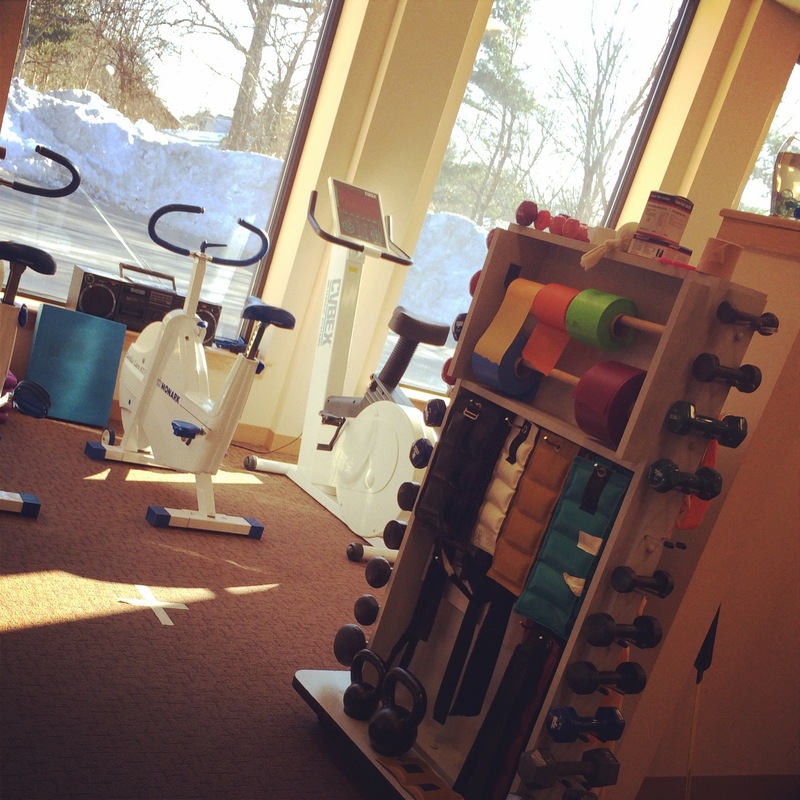 How has your journey led you to pursue a personal training certification? What else are you doing that is currently in the health/fitness field? I’ve been talking about personal training since I started bootcamp. I loved everything about it, and since I was a cheerleader in the past, I think I’m good at encouraging others to keep going. Several times, my bootcamp instructor would go on vacation, and I’d take over his planning and run the 5 and 6AM classes before work, and I loooooved it. 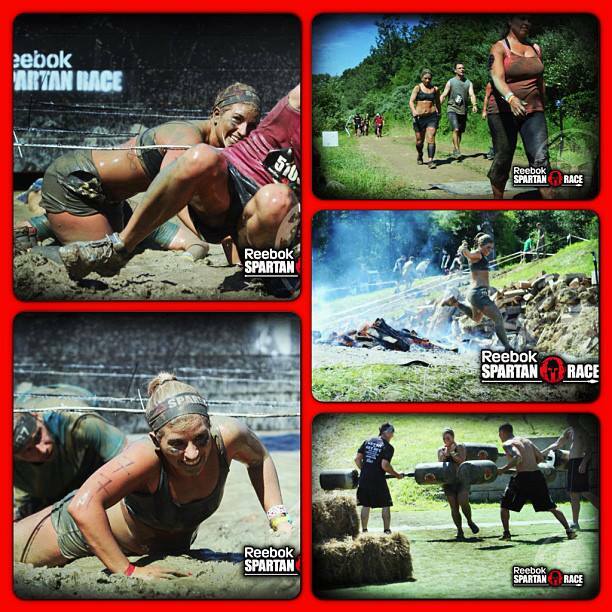 Structuring the workouts, planning the music, yelling at people to keep going, was really fun for me. I also just got into being a Beachbody coach, and I’m slowly ramping up into that. Who/what is your biggest motivator? I’m really my own biggest motivator. I’m a big proponent of being your own cheerleader. No one else is going to make you get off the couch and go run. No one else is going to tell you to get a salad instead of pizza for lunch. No one else is living in your body besides you – YOU have to want to be healthy and make good choices on your own. I refuse to count on someone else to motivate me – because what happens when that person isn’t there? It’s up to you. What is your advice to those who are struggling to get into a groove of a healthy lifestyle? As much as we would all love it to be, it’s not an overnight process. There’s no miracle workout or meal plan. There’s no weight loss drug or shake that will make you skinny or fit by tomorrow. And you have to keep reminding yourself of that. It’s OK to fail sometimes – maybe eat 2 cheat meals a week or miss 2 workouts in a row. It’s ok – because failing means that you’re still trying. But you have to persist. A lot of things come up in the way of fitness – injuries, sickness, lots of stuff going on at work, etc. But that doesn’t mean you should stop. An hour workout is 4% of your entire day. A healthy meal takes just as long to prep as heating up the stove and throwing in a pizza. If your shoulder hurts, work on legs. If you feel the sniffles coming on, take a Tylenol Cold and go run outside. Tough work stuff? Sweat out your aggression on that dumb guy in sales – it’ll make you feel way better and less guilty than hammering back a few beers. If you have time to sit down and watch TV or go online, you have time to put on your running shoes and get a workout in. Don’t make excuses.